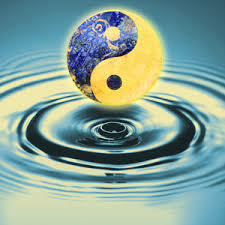 With a deep your understanding of Zen, Taoism or some other spiritually based studies you can be a better healer. No matter how advanced your intellect, and mental clarity, the fact remains that in your practice you will need to explore how the appropriate application of your individual talents, personal resources, and your ability to delay short term gratification can help you create your best life. The Wisdom Path integrates practices and traditions from Zen and Taoism and also draws from a diverse pool of thought including Kabala, Sufism, Game Theory, and mystic Christianity. Whether the source is Lao Tsu Meister Eckhart, Thomas Merton or the Ball Shem Tov the core element in this work is the sitting meditation often associate with the Soto School of Zen. Also Integrated into the Wisdom Path is the exploration of kōans as practiced in the Rinzai Zen School, and the altered states of consciousness that may naturally arise with deep introspection and contemplation. The aim of all of these is essentially the same – enlightenment or awakening. In addition to mediation and the exploration of kōans learning to conserve our resources and balance them as they manifest through our life skills is equally important. By merging these approaches, you are in a sense creating a post-modern monastery. We were recently offering a seminar on stress management at the Catskills Bed and Breakfast – http://www.TheCatskillsbedandBreakfast.com – in Stamford NY. During the breakout sessions we offered stress management seminars that including creative visualization, spirituality in business and onsite chair massage. The event was a great success. He offers stress management programs throughout the United States. Part of this company is his corporate chair massage company, eventschairmassage.com provides seated and chair massage for stress management seminars and trainings as well to special events for meeting planners and meeting professionals in New York City, New Jersey Las Vegas, Los Angeles, Cleveland, Greensboro NC, Florida and other major meeting and conventions venues. 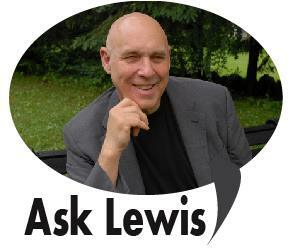 If you are a social networker please “Friend” me, Lewis Harrison on face book “Like” my page at “https://www.facebook.com/AskLewis/” and invite others who might benefit.